The example source code often provided with cheminformatics libraries to demonstrate the available functionality often try to address two conflicting requirements. On the one hand, these attempt to be pedagogical teaching examples, explaining how to perform a task often to a new or inexperienced user. On the other, these also attempt to address realistic problems and have utility in their own right. Alas in some cases, the best or most efficient way to do something is not the easiest to understand, so efficiency is sacrificed for clarity, or the other way around. A recent example of this dilema arose for an example program to demonstrate how NextMove Software’s CaffeineFix library can be used with jQuery to provide efficient autocompletion/suggestion in chemical search engine text boxes, such as provided by Google. A minor implementation detail of this approach was the reading of CaffeineFix’s binary .cfx file format from disk. In C or C++, a simple way to perform this shown by LoadDictionary1 below, that uses the standard I/O library to read in the dictionary in sequential chunks of 64 Kbytes at a time. This is functional, highly portable between systems and even works with streams, such as stdin. Ultimately, however, the most efficient implementation for reading binary CaffeineFix dictionaries on UNIX-like operating systems is to use “mmap“. Memory mapping lets the operating system decide where to return contents of a file, but with a clever trick of virtual memory that the data is (typically) only read from disk when a memory location is accessed. 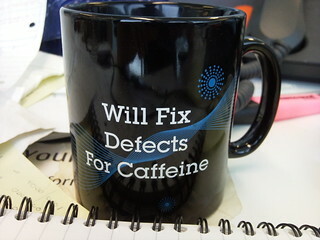 For the example use-case described above, autocompletion using CaffeineFix typically only (randomly) accesses a small fraction of the binary file. In practice, this means that only a small part need be read from disk. To quantify the performance advantage, we consider autocompleting the text “bisul” using NCBI pubchem’s synonym dictionary of 46.6 million compound names. The original 976 Mbyte ASCII dictionary file is very efficiently encoded as a 718 Mbyte binary CFX file. Using LoadDictionary1 above, autocompletion of “bisul” to return 10 possible completions takes 68 seconds on my Apple laptop, over 99.9% spent in file I/O. Using memory mapped file I/O with LoadDictionary4, the same task takes under half a second. In practice, if using a persistent process on a web server there’s very little difference between approaches, as once the dictionary has been read into memory suggestions can be made as fast as a user types. However, for applications where this start-up time is an issue, memory mapping is clearly superior. 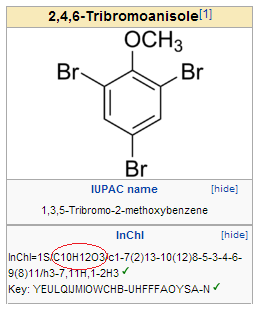 Wikipedia is a highly useful source of Chemistry and also of chemical nomenclature. A limitation in chemical name to structure software, such as OPSIN, is that trivial names that are similar to systematic names may be misinterpreted if the program has never encountered the trivial names. The nature of Wikipedia means that the most important chemicals and hence the most prevalent trivial names are included so surely Wikipedia would be a great resource to look for name to InChI relationships where the name to structure software was at fault? I used Matthew Gamble’s code for extracting chemboxes as RDF to quickly grab the contents of all the current chemboxes. From the output of this tool it was simple to get the name/InChI pairs. As I was interested in trivial names I used the title of each Wikipedia page as the input for name to structure. 430 cases were flagged up for a range of reasons: ring/chain tautomerism, intentionally underspecified names, under or over specification of stereochemistry and of course the type of error I was expected. 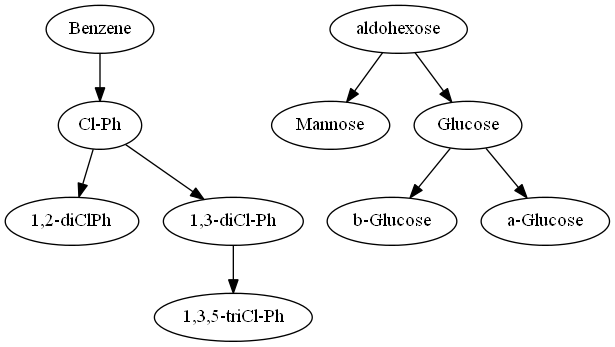 However there were also a significant number of cases where the InChI clearly described a different compound. Upon investigation for the records I’ve corrected so far the root cause appeared to be an incorrect reference to ChemSpider. This then allows script assisted updates to pull in inappropriate InChIs/SMILES. Example of a previously incorrect page. Given a set of chemical structures as SMILES, how can you visualise the substructure/superstructure relationship between them? This was created using the following Python script, which iteratively looks for the structure that matches the largest number of molecules in the set, building up a tree as it does so. The output is the tree in a form suitable for depiction using Graphviz’s dot program. The Python script uses Open Babel, but could easily be adapted for other toolkits. There are several tools out there for batch conversion of chemical file formats. However, you may not have access to those tools or else a particular file format may not be supported. Sometimes your only option is to open each file in the original software, and export it as a more useful file format. When dealing with a large number of files, this can be quite tedious or just impossible. Recently, faced with the challenge of converting 100s of ChemSketch files to Mol files, myself and Daniel looked up the literature (i.e. googled the web) and found that Rajarshi Guha has described how to automate ChemDraw using the Python module WATSUP. Unfortunately this no longer seems to be available. Rich Apodaca has described an alternative approach using AppleScript but this does not work so well on Windows.